News | California Governor Declares Drought Emergency: Rice Prices Skyrocket | Sonray Sales Ltd. 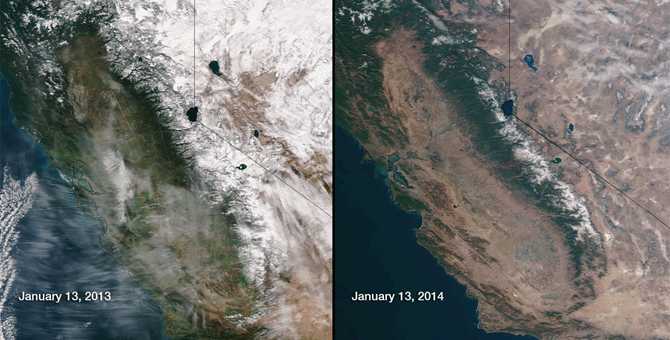 This January has been one of the worst on record for California with no recorded rainfall, period. The implications of this are serious; both to communities who rely on water reservoirs to supply their homes with drinking water and to farmers whose livelihood depends on a healthy harvest. As rice is a water crop, Californian rice farmers are among the first to be rationed and have been allowed just enough water to utilize roughly 33% of available rice growing acreage. This has drastically affected the previously anticipated rice supply and capability of the farmers to meet the demands of a hungry international market. In response to the supply shortage and unchanged demand, rice prices have skyrocketed as farmers struggle to cover the cost of their farmland and operational expenses. Raw costs have increased by roughly 70% in less than two months. As the ripples of this drought move through the supply chain, rice suppliers have had no choice but to raise prices on five occasions in January alone. As a result of these unfortunate circumstances, we also have to reluctantly respond by passing on the expense and raising our prices. We appreciate our business partner relationships and thank you for your understanding.